Ed Davey has confirmed proposals that the Government will aim to cut down on the high number of tariffs energy companies currently offer. The energy secretary was speaking at the energy select committee with the aim of cementing PM David Cameron's suggestions last month of getting consumers on the lowest tariff - an idea that some in Labour initially baulked at. The proposals will ensure that energy firms cut down their array of tariffs to only four. Energy Secretary, Ed Davey, said he was determined to make sure customers got the best deal available, whilst also getting the cheapest tariff possible. He said: "Bill payers will no longer face the impossible choice between hundreds of tariffs, each customer will have a maximum of four tariffs for gas or electricity per supplier to consider. The proposals come at a time when five out of the "Big Six" energy firms, all part of the Warm Home Discount Scheme, have risen prices - causing a furious backlash from disgruntled energy consumers. The four tariffs will offer a choice of a fixed term rate, a standard rate variable (SVR) and two others based on factors such as, if renewable energy is used, and how the consumer pays their bill. Speaking of the meeting, Mr Cameron wrote on Twitter: "My promise to ensure customers are getting the lowest tariff is being delivered." 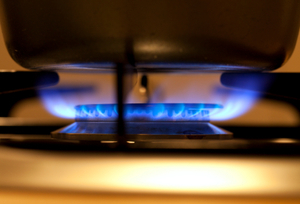 Following the Government's proposal, the energy regulator Ofgem, said the plans: "Will put an end to consumers being bamboozled by complex tariffs and deliver choice that consumers easily understand." However not everyone has greeted the proposals so positively. Speaking in an interview on the Today programme, Energy UK chief executive, Angela Knight, suggested the planned proposals could even see customers miss out on the cheapest tariffs, with energy firms deciding to remove them. Shadow energy and climate change secretary, Caroline Flint, had a similar concern, suggesting many households would still miss out on the best deal for their home. She said: "Unless David Cameron stands up to vested interests in the energy market and creates a tough new watchdog with powers to force energy companies to pass on price cuts, his warm words will be cold comfort to people worried about paying their fuel bill this winter."